At Numero Uno Web Solutions, we create eye-catching web sites that our clients can maintain themselves with our easy-to-use WordPress SEO services in Toronto. WordPress allows you to easily create and customize web sites that can build your brand by specifically targeting your customers and featuring unique content that will set you apart from your competition. Since 2011, we have provided WordPress-based search engine optimization (SEO) for businesses around the Greater Toronto Area and beyond. At Numero Uno Web Solutions, we have a wealth of experience and knowledge in creating effective marketing communication strategies that are targeted at your customer base and campaigns to effectively market your business and create a highly impactful Web site that’s user-friendly for both you and your customers. In today’s increasingly connected world, your presence on the Web plays a vital role in presenting your business to customers. Let us work closely with you to create a site that will stand out. We put local small- and medium-sized businesses (SMBs) first at Numero Uno Web Solutions. We have built our reputation thanks to our hard work with our multitude of clients across the GTA and across Canada and in the U.S., having helped businesses to grow and build their presence on the Web. While we help SMBs across North America, our focus is on businesses in the GTA. Regardless of whether you require WordPress SEO services in Toronto or one of the outer suburbs like Markham or Brampton, we have centrally-located offices that are ideal for face-to-face meetings. Regardless of the size of your business, we will create an online marketing campaign that is geared towards you. We realize that a “one-size-fits-all” approach won’t do; that is why we will create an SEO campaign that is customized for your business. Ask any of our clients and they will tell you that our services helped to improve their presence on the Web and social media, increasing profits as a result. We have successfully worked with many major organizations, so imagine what we can do for your business! 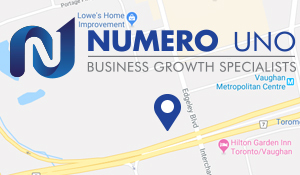 At Numero Uno Web Solutions, we will work closely with you help your business grow and prosper. Our SEO experts assist you in getting better results for your WordPress site on major search engines, leading to increased traffic, interest, and revenue!